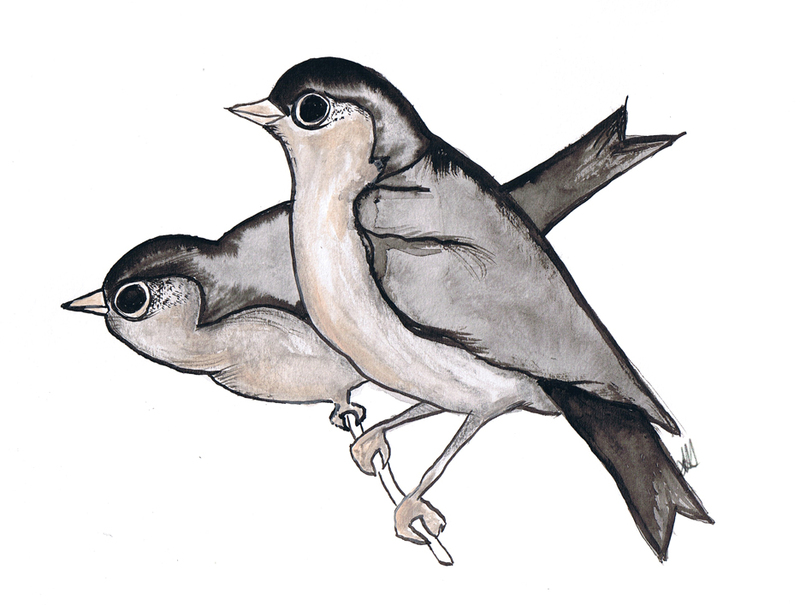 I've just created some custom printed fabric with both of the original That Vintage birds illustrations. I am super excited and a little nervous for this project - it is all currently in my mind and a few little sketches in my notebook, but for the most part, I'll be winging this idea! I cannot wait to get the fabric and the other bits and pieces, begin playing around and hopefully, fingers crossed, my new idea works and I can share it with you all! Sweet feathers on your earlobes, but I promise that these ones won't tickle your skin! 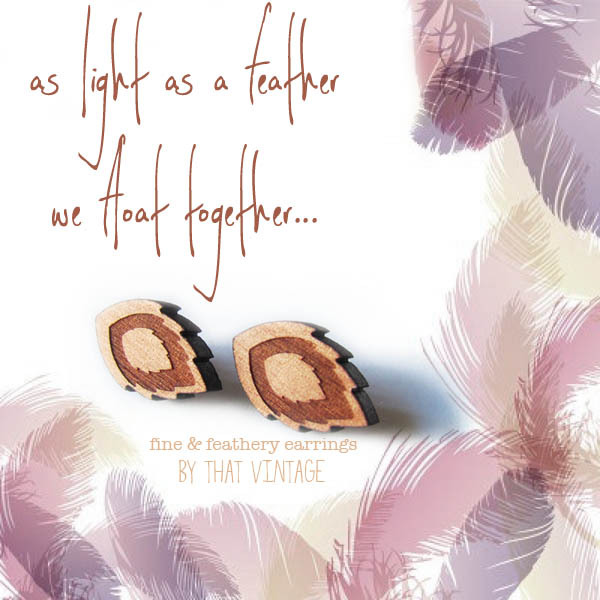 This design is a little different from the other wooden earrings by That Vintage; rather than encase the feather shape within a circle, I opted to think outside of the "circle" and go more true to shape. 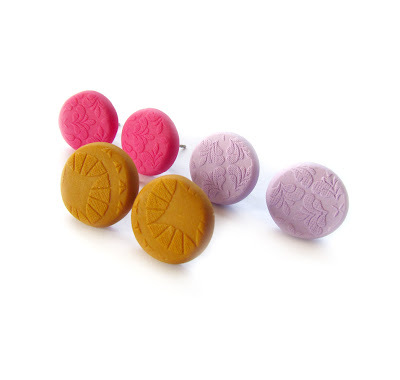 These are a little smaller when wearing, light weight but super cute! 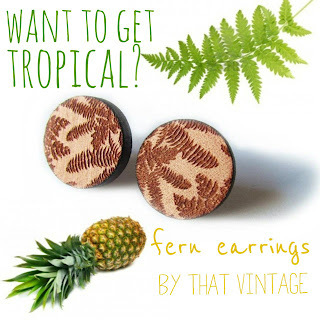 Available in the That Vintage Etsy store. 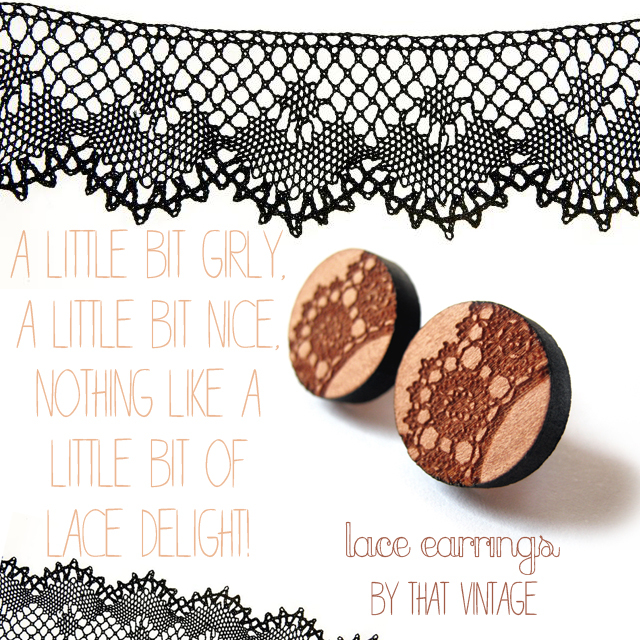 For me, there is nothing more classic than a dash of lace! Classic, girly, vintage... but with a modern twist on the beautiful warm coloured, Tasmanian Myrtle wood. Lace is timeless, always appreciated and an art form at best. You can find these babies online at the That Vintage Etsy store. 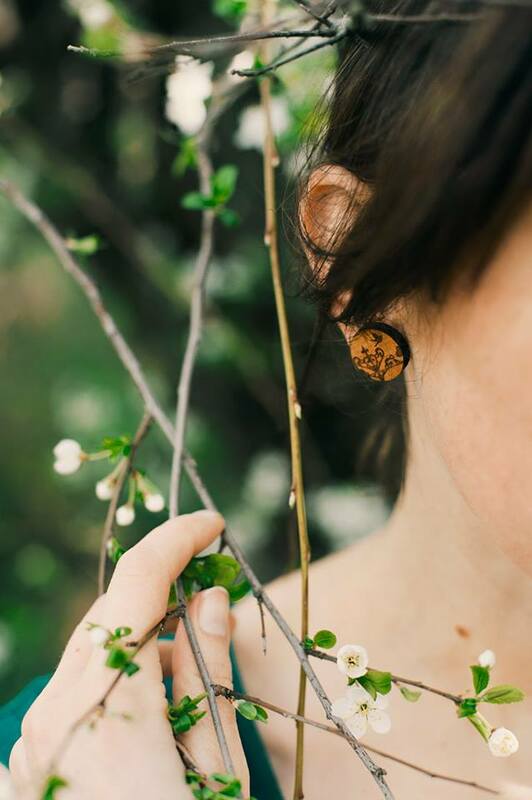 Yesterday afternoon, I launched a Spring Bonza sale on the That Vintage Imprinted Clay Earrings - in designs that aren't available in stores or online! Boy, it was one heck of a bonza, the different colour and print combination sets got snapped up super duper fast! There are only two sets remaining, so I decided to put them into the Etsy store and see what happens... if they get snapped up relatively quickly, I might bring back the Bonza for another event! Spring Blooms And Love Comes In. I love beautiful, pretty, special surprises! The above image was exactly that - a beautiful surprise that landed in my inbox from the talented Lisa Kuilenburg of LisaK Photography. 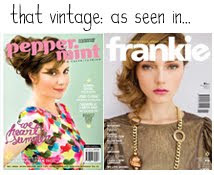 Do you remember the Autumn photo shoot that Lisa did for That Vintage? Well, it is pretty obvious to me that Lisa has a personal soft spot for That Vintage - and I love that she loves That Vintage so much! Yesterday, Lisa felt inspired by the new Spring blossoms that are beginning to bloom, so she stepped outside to take some photographs and this was one that she snapped. One hot trend for SS14 is anything tropical, tropicana... and with each day going by, Spring seems to be creeping on in at full pelt - it will only be a matter of time before we sit and swelter through Summer! Well... as I opened up the blog to begin writing this entry, the view outside looked like a bright "Spring" day, but as soon as I began typing, the clouds came over and the idea of Spring is once again, pushed away. Being in the thick of winter, sometimes you can find yourself in a little bit of a stinky funk. The type of stinky funk that rains on your normal happy parade full of energy, inspiration and all things happy. I love winter, I love the cooler weather, wearing knits, snuggling under warm blankets with my kitty and sipping cup after cup of tea. But I am well and truly ready for Spring and all the goodness it brings. 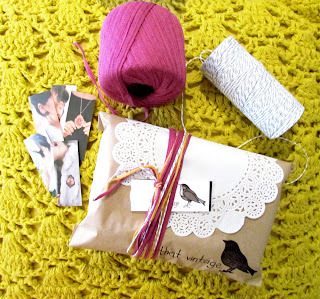 As I wrap up some orders from this weekend, I notice my own colour palate has begun to change - bold snaps of hot pink and sun-shining yellow have drawn me towards them, leaving the muted grey and brown tones behind. Change is coming... bring it! Design by Dannielle Cresp. | Background by pareeerica.